Every Friday yacht race, held around sunset and open to all comers (as long as your sailboat’s at least 20 feet). Officially, it’s called the Friday Night Champagne Series, but it’s popularly known as the Beer Can Races. 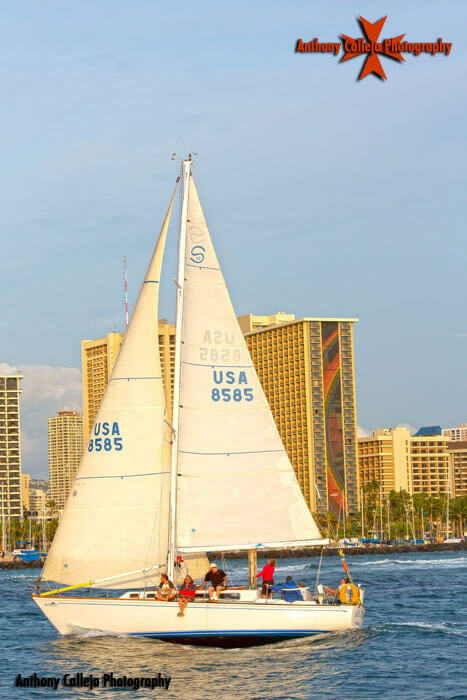 Unlike Hawaii’s more serious sailing competitions, such as the Kalakaua Cup or the Sir Thomas Lipton Cup, the Beer Can Races are mainly about getting out on the water to have fun. 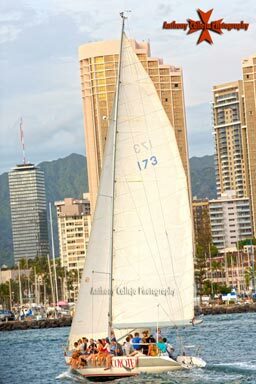 For more sample photos see Honolulu Sailboat Race. Yacht is referred to as deriving from either Norweigian jagt, Middle Low German jaght or from the Dutch word jacht, which means a swift light vessel of war, commerce or pleasure. The sporting element in the word lies in the derivation of jaght from the root jaghen, which means to hunt, chase or pursue. The formal racing of boats is believed to have started with sailboats in the Netherlands some time in the 17th century. 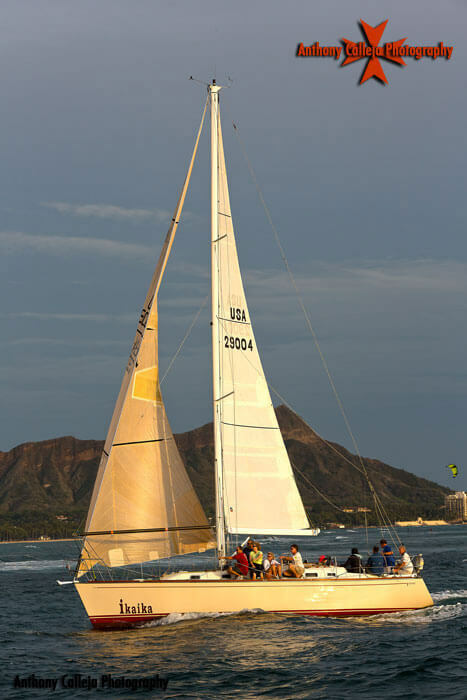 Soon, in England, custom-built racing "yachts" began to emerge and the Royal Yacht Squadron was established in 1815. In 1661 John Evelyn recorded a competition between Katherine and Anne, two large royal sailing vessels both of English design, "…the wager 100-1; the race from Greenwich to Gravesend and back. One of the vessels was owned, and sometimes steered, by Charles II, the King of England. The king lost. In 1782 the Cumberland Fleet, a class of sailing vessel known for its ability to sail close to the wind, were painted racing up the Thames River with spectators viewing from a bridge. Much like today, this obsession with sailing close to the wind with speed and efficiency fueled the racing community. In the nineteenth century most yacht races were started by allotting starting positions to the competitors. Buoys were laid in a straight line, to which the competitors attached their yachts by means of spring ropes. 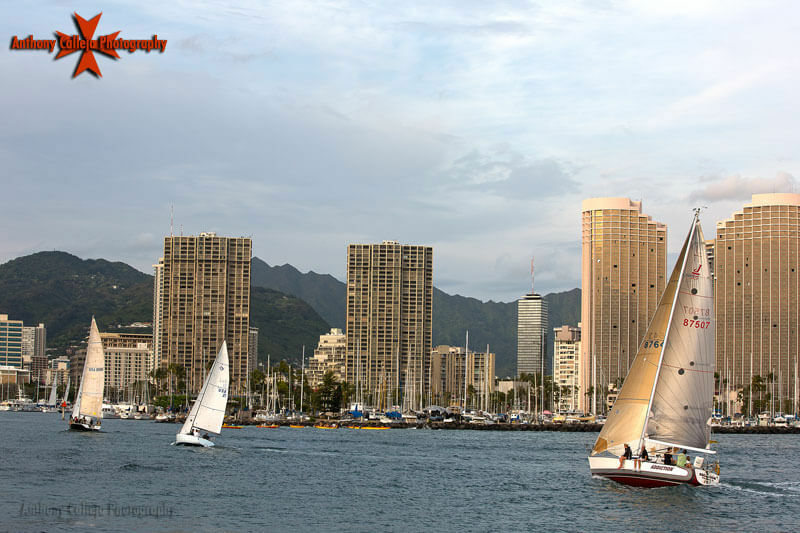 The yachts were required to keep all the sails forward of the main mast on deck until the starting signal was given. 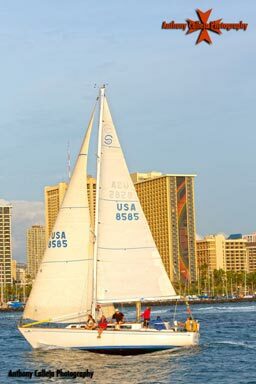 The Yacht Racing Association was founded in 1875 by Prince Batthyany-Strattman, Captain J. W. Hughes, and Mr. Dixon Kemp. The Y.R.A. 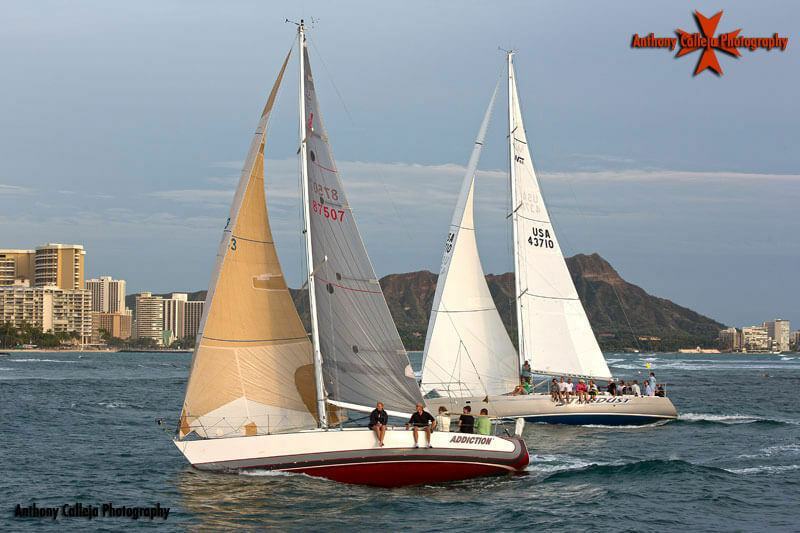 wrote standardized yacht racing rules which included the 'Flying Start' used today. 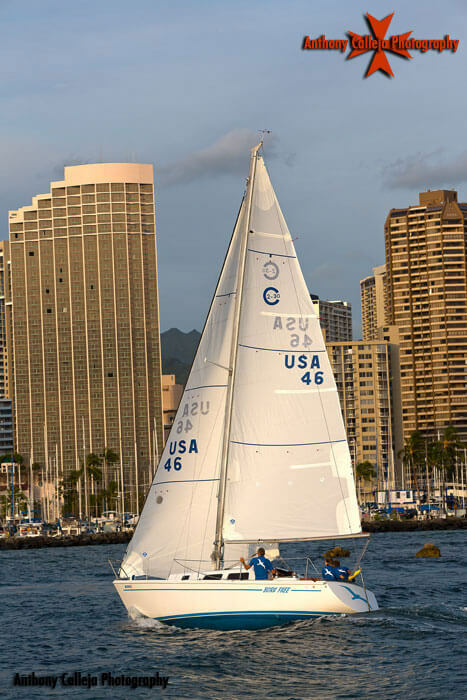 Bringing yacht racing to the forefront of public life, the America's Cup was first raced in 1851 between the New York Yacht Club and the Royal Yacht Squadron. Not ruled or regulated by measurement criteria as today, it is interesting to note the second-place finisher was Aurora, "and but for the fact that time allowance had been waived for the race she would have been the winner by a handsome margin. 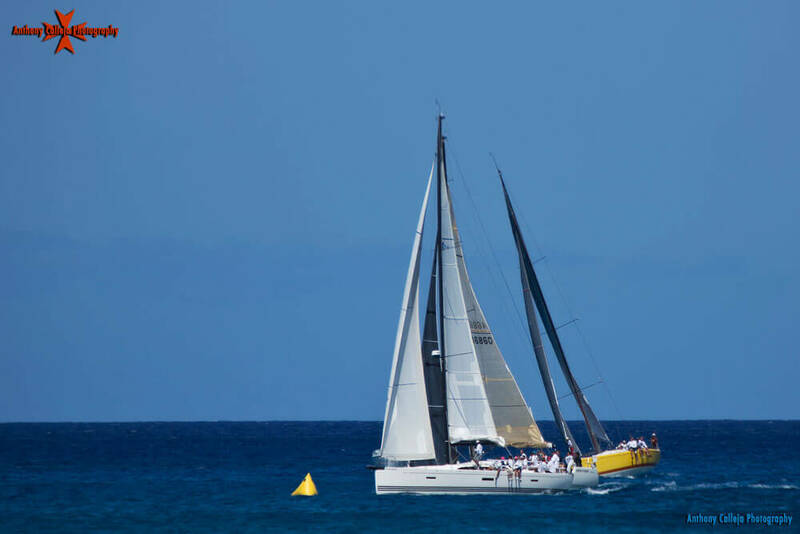 Subsequently, the Cup races were conducted, usually every 3–4 years, based on a challenge issued by one club to the current Cup holder, which till 1983 was the NYYC.